The Turks, who had remained hidden in their trenches up to this point, opened fire. Men were killed where they sat in their barges. “One fellow`s brains were shot into my mouth as I was shouting for them to jump for it,” said Sergeant J. McColgan, who was shot in the leg. “I dived into the sea. Then came the job to swim with my pack and one leg useless. I managed to pull out the knife and cut the straps and swim ashore. All the time bullets were ripping around me.” Of his 32 men, only six survived. 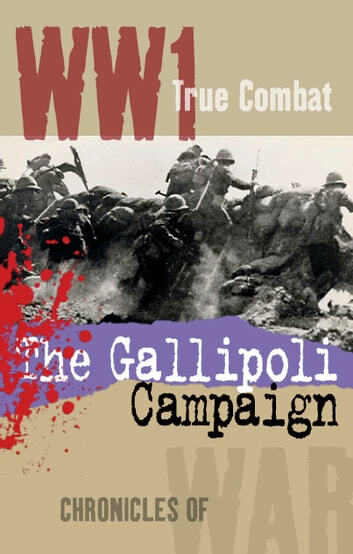 Read about the 1915 Australian, British and New Zealand landings on the Turkish peninsula of Gallipoli in this tale of True Combat. An account filled with the courage of war, and interwoven with first hand experiences that take you into the heart of battle. Apprezzabile la capacità di autocritica. Essenziale ma dettagliato. L'Autore è chiaramente un esperto in cose militari.